Well done to 1st Richards Bay Scout Group who once again shared some Christmas Cheer with Fishermen who are far away from their loved-ones. 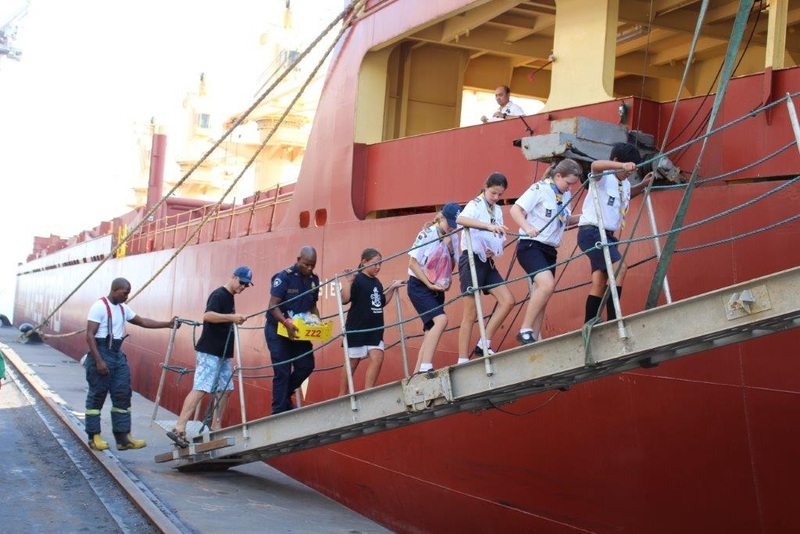 On the 24th of December the Scouts were out and about in the Port of Richards Bay delivering their “Christmas Mugs” to every sailor on every ship in the Port. Travelling by Fire Engine and ably assisted by the 2 fire men a great time was had by all.